During our visits to Providenciales (Provo), Turks and Caicos, the locals often asked me, “Have you been to North and Middle Caicos?” I always said, “No, but hopefully soon.” They would describe how amazing the landscape is on those two islands, and that it will be such a different experience than Provo, which is the most developed island in the archipelago. 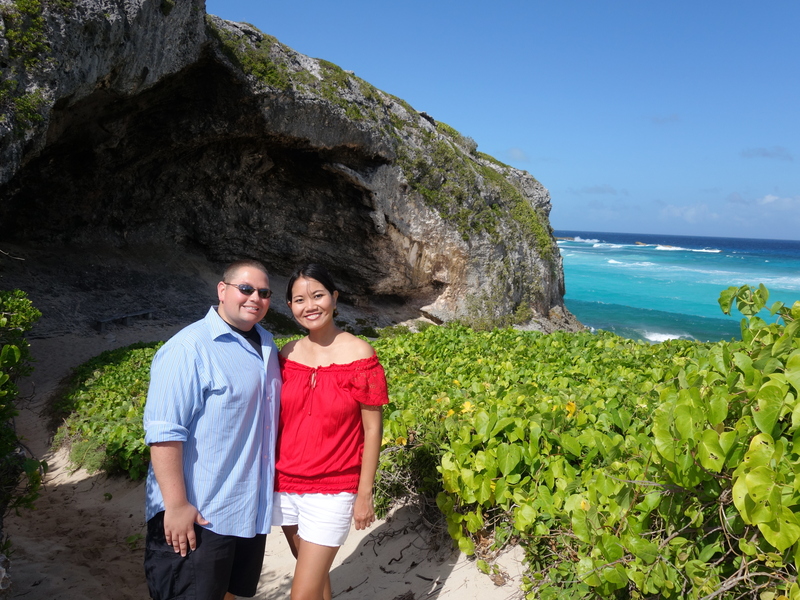 Johnny and I had wanted to visit North and Middle Caicos on our first trip to Turks and Caicos, but island-hopping was not really an option with the presence of hurricane Sandy. 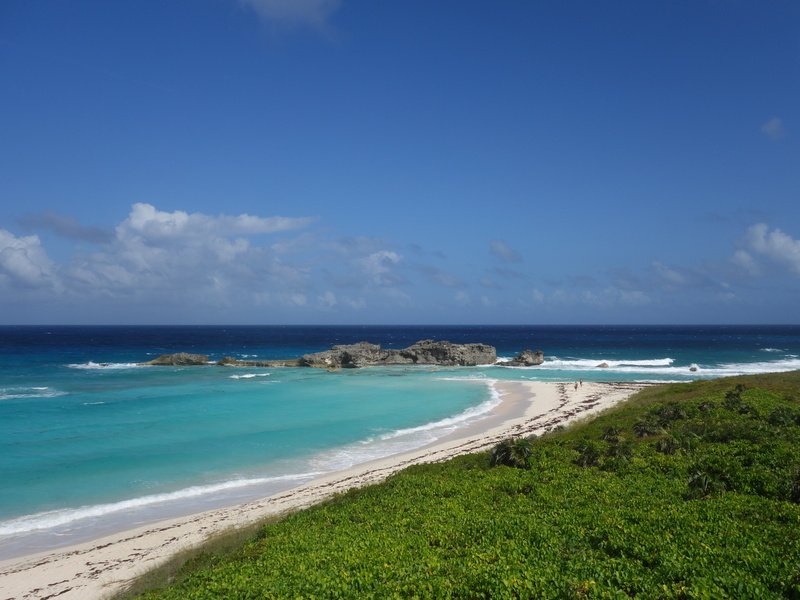 Prior to our most recent trip to Provo, we purchased Amy’s Ultimate Guide to Middle Caicos. 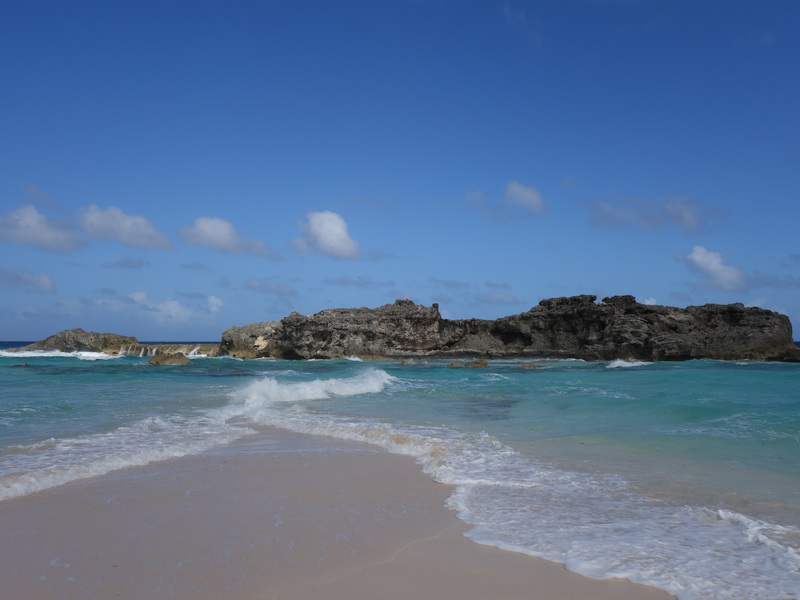 It gave us some ideas as to what to do once we’re on the island, where to eat, and which car rental companies are available on North Caicos. 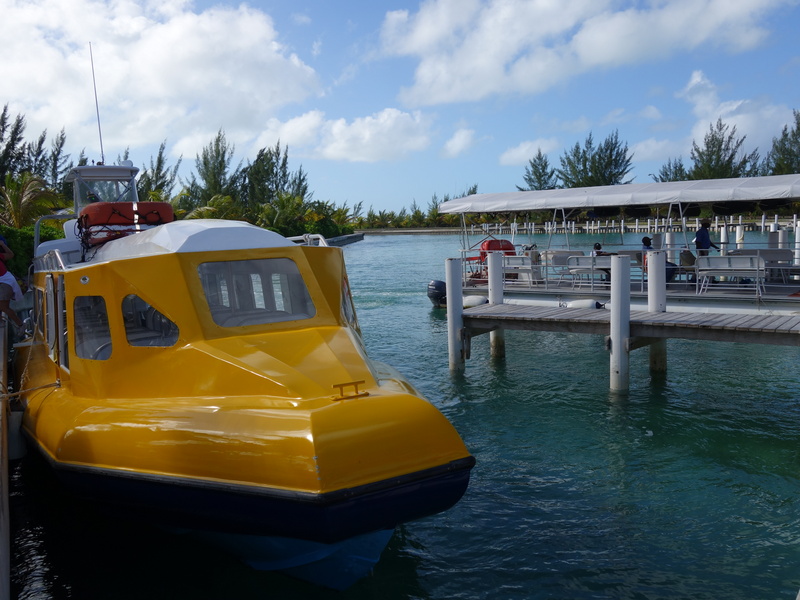 The day before we left for North and Middle Caicos, we gave TCI Ferry a call in order to reserve seats for the 9:30 AM departure. Next, we contacted Al’s Rent-a-Car to secure transportation for the day. 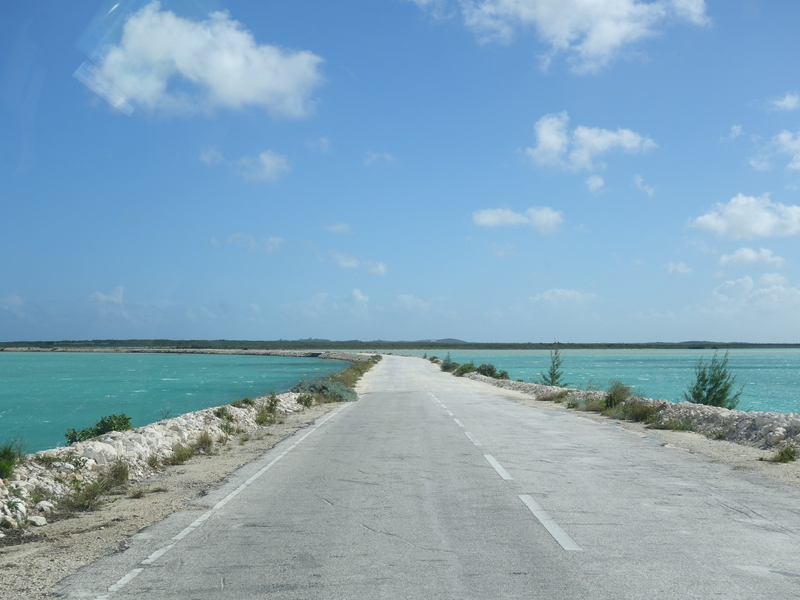 There are other car rental companies on the island besides Al’s Rent-a-Car, and you can take a look at the list on Visit Turks & Caicos Islands website or in Amy’s Ultimate Guide to Middle Caicos book. On the day of our excursion, we drove our car and parked it at Heaving Down Rock Walkin Marina in the Leeward area in Provo. 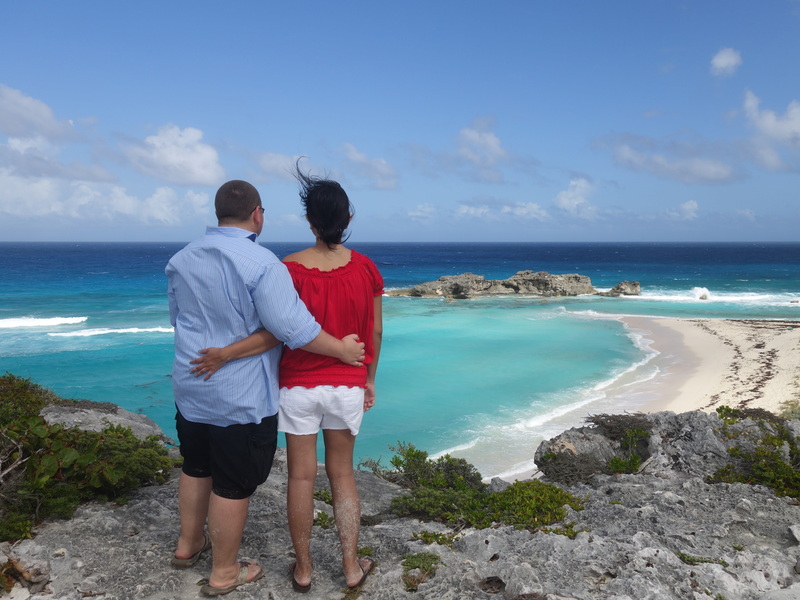 We purchased round trip tickets for the ferry, and picked up a North and Middle Caicos map. The ferry was actually quite packed on our way over to North Caicos. Overall, it was an enjoyable 25-minute ride, gliding on turquoise waters and passing by picturesque shorelines of various cays. 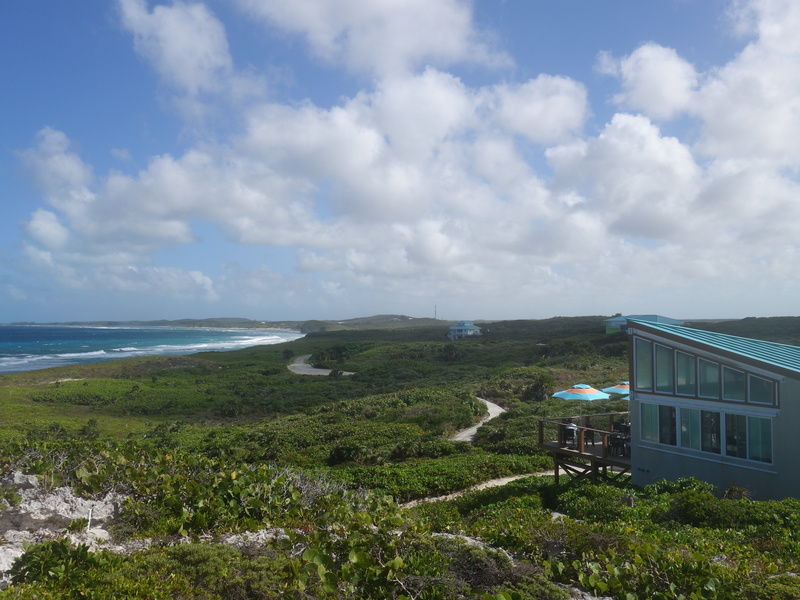 We arrived at Sandy Point Marina on North Caicos safely and were really excited to start our adventure. A representative from Al’s Rent-a-Car was already waiting at the marina and had us fill out a rental agreement form. 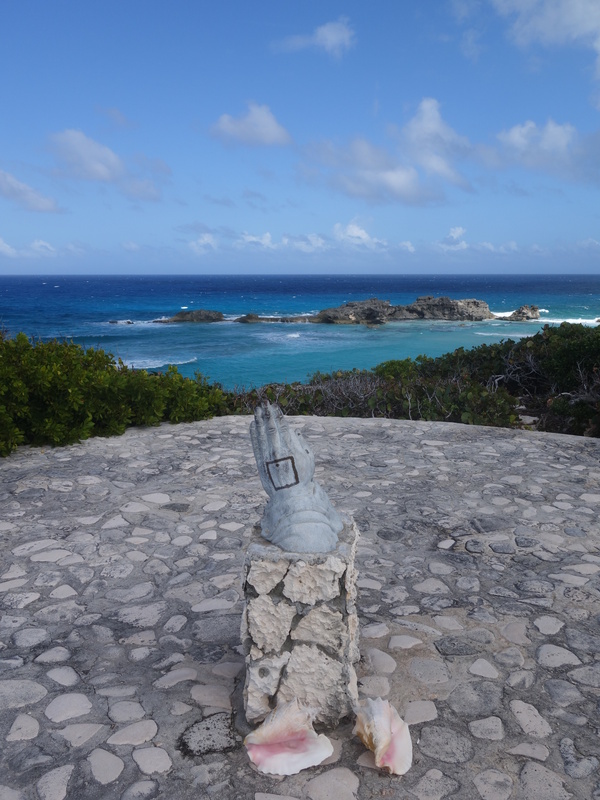 He then gave directions to Mudjin Harbour on Middle Caicos and pointed out other points of interest along the way. We were given a Land Rover, which was perfect for venturing out on these islands. Our first destination was a practical one: the nearest gas station. We were told that $35 worth of gas should be enough to last us through the day. Since most of the day-trippers were headed in the same direction, we simply followed each other all the way to Middle Caicos. 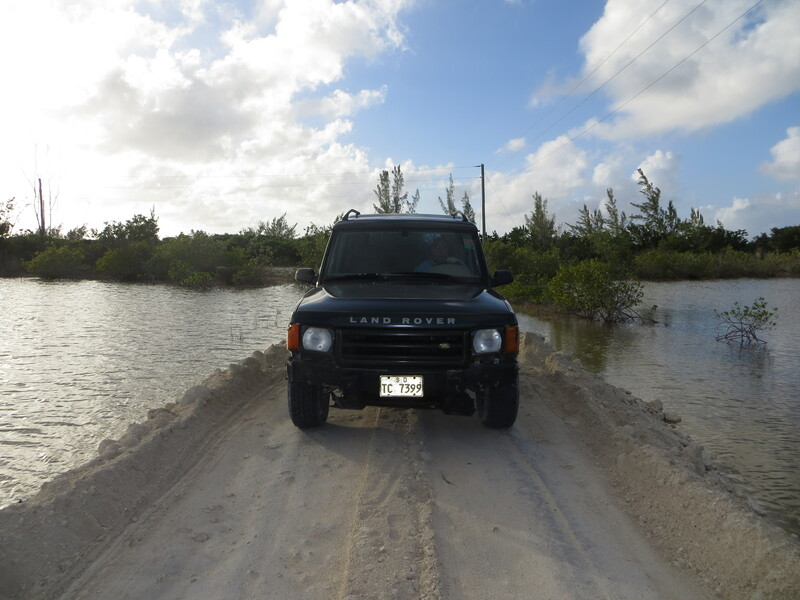 For those of you who are wondering about the North-Middle Caicos causeway, it was actually quite easy to navigate and was in good condition. We did drive cautiously, as the road frequently transitioned from paved to gravel. To reach Mudjin Harbour, we followed the signs to Blue Horizon Resort. Once we arrived at Blue Horizon, we left our car at a public parking space, and started walking towards the beach. 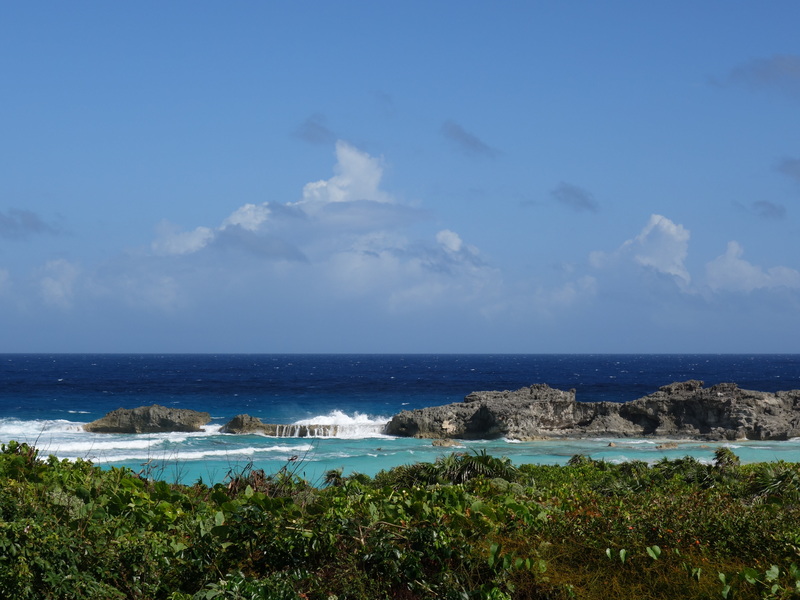 Before long, we caught a glimpse of Dragon Cay and the stunning turquoise and deep blue colors of the water that surrounds the cay. On the left is the deck of Mudjin Bar & Grill at Blue Horizon Resort. On the bottom right is the path to the beach. 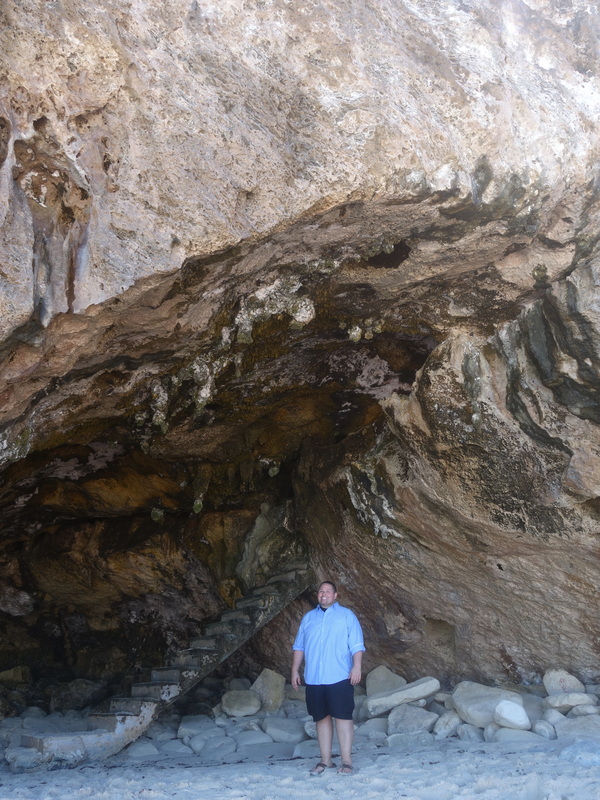 We continued down the trail, passing a cave with benches underneath. 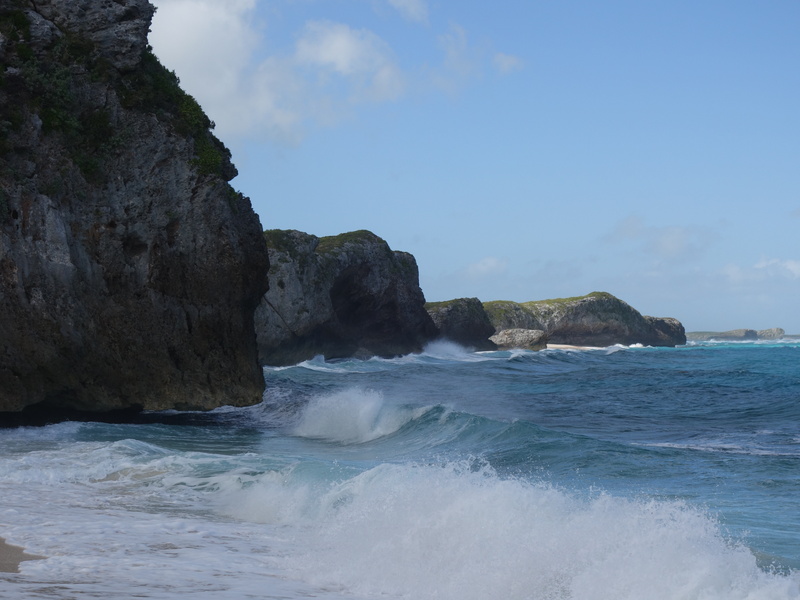 It was a windy day, and down on the beach we could see waves crashing against the high cliffs. The churning of the sea accentuated the dramatic feel of the scenery even more. 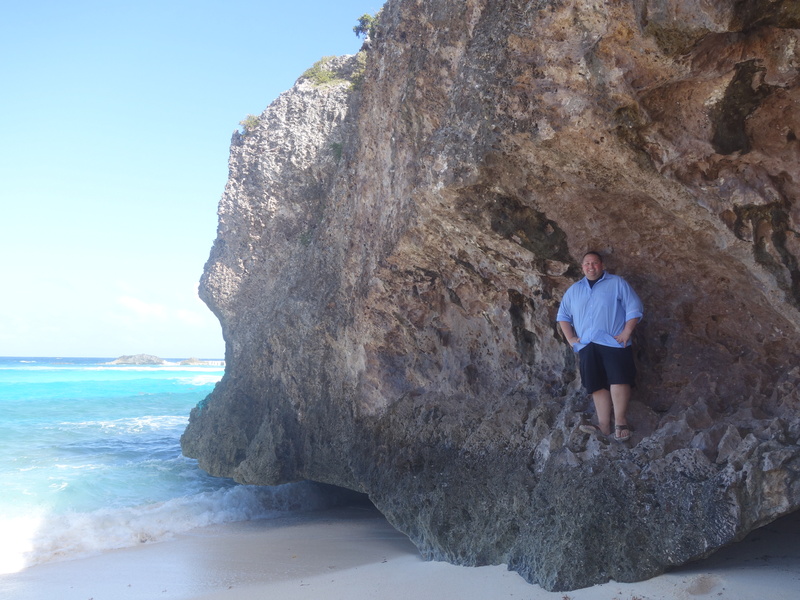 We moved on to get a closer look at Dragon Cay, which refers to the rock formations just off the beach on Mudjin Harbour. On that particular day, Dragon Cay definitely lived up to its name. Instead of fire, it was spitting large amounts of water. 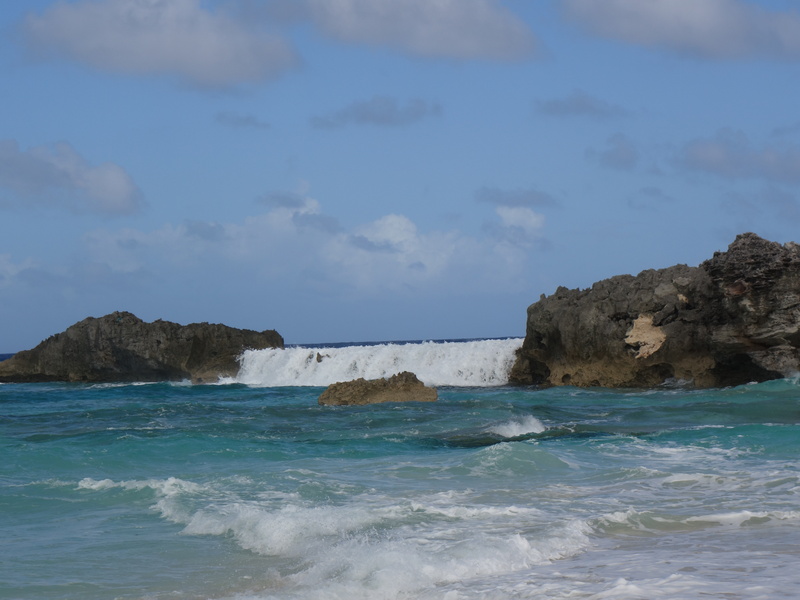 Each time a big wave came along, a temporary waterfall was created on a section of the rocks. It was quite a sight to see. 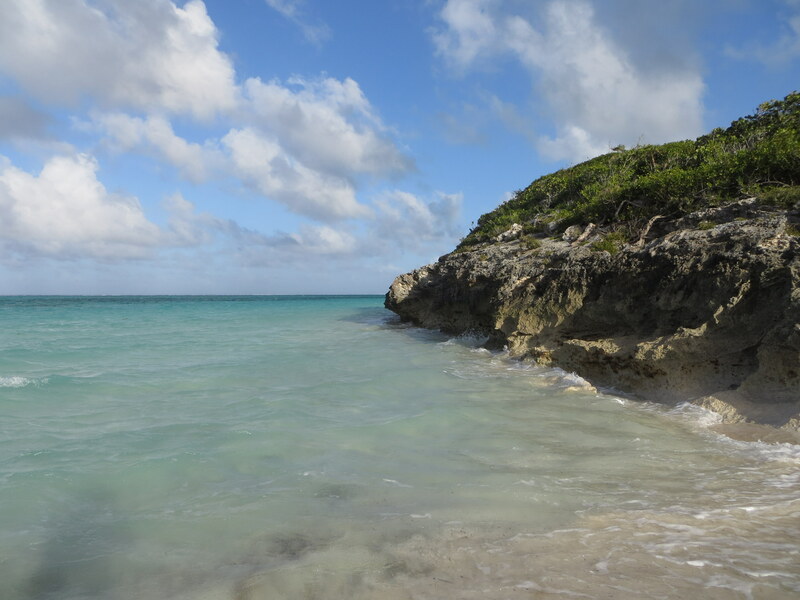 We were told that on a nice day, when the tide is low and the water calmer, you can actually walk across the sandbar to the cay itself. So there goes a good reason for us to come back to this place. the water came down and cascaded over the rocks. I could watch this waterfall all day long. Clouds hanging over Mudjin Harbour. 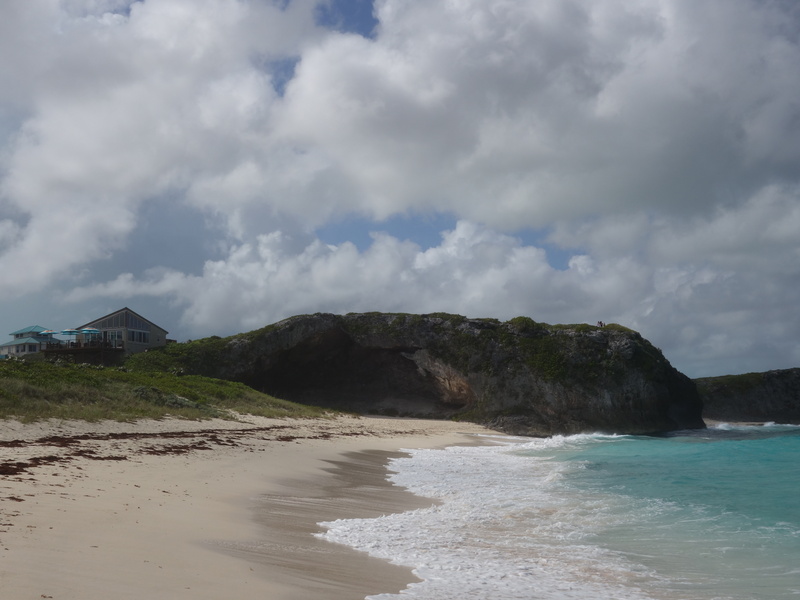 In the center is the beach cave, and on the left is Mudjin Bar & Grill at Blue Horizon Resort. After taking lots of pictures, we went back up the hill in order for Johnny to put away a few items in the car. We continued our exploration of Mudjin Harbour by hiking the Crossing Place Trail. The view from the trails (which wind atop the cliffs) was simply breathtaking. 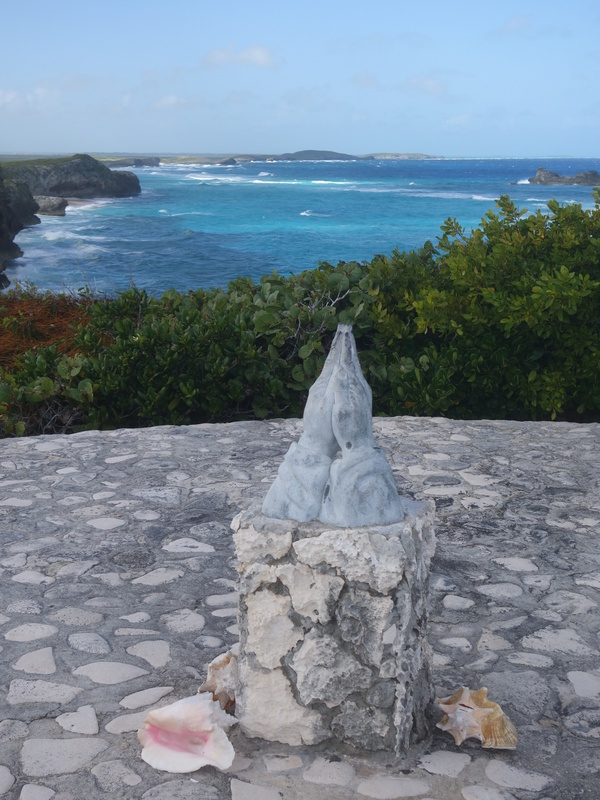 We stopped at an overlook called The Circle of Hope, which was marked by a statue of praying hands. We couldn’t help but to take a moment to be silent and admire our surrounding. Statue of praying hands at The Circle of Hope. You can see Dragon Cay in the background. 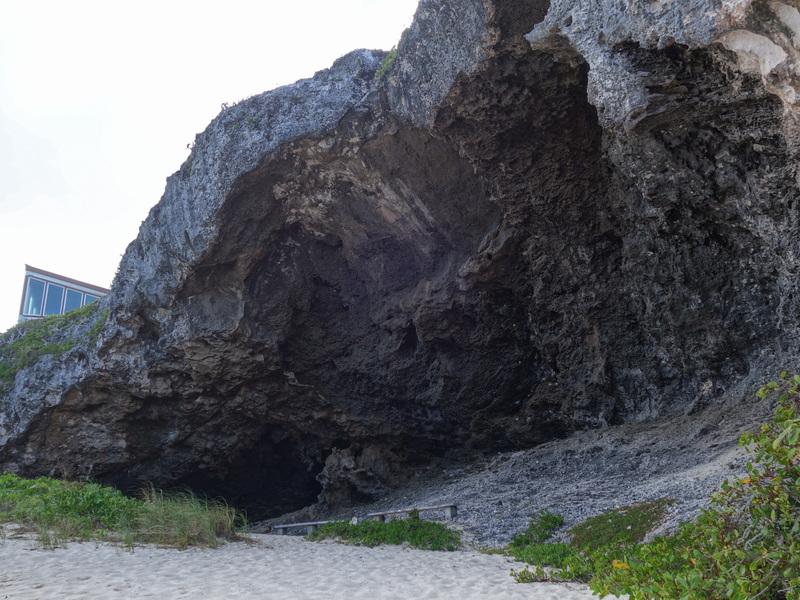 While on our hike, we passed by the other day-trippers who highly recommended that we find the Secret Beach. “You’ll have to go down some steep narrow stairs, but it’s going to be worth it,” they said. We were up for the challenge, and found an opening that goes deep down inside the cliff. The steps started out nicely. However, the further down we went, the darker it got and the steps became slightly more challenging. 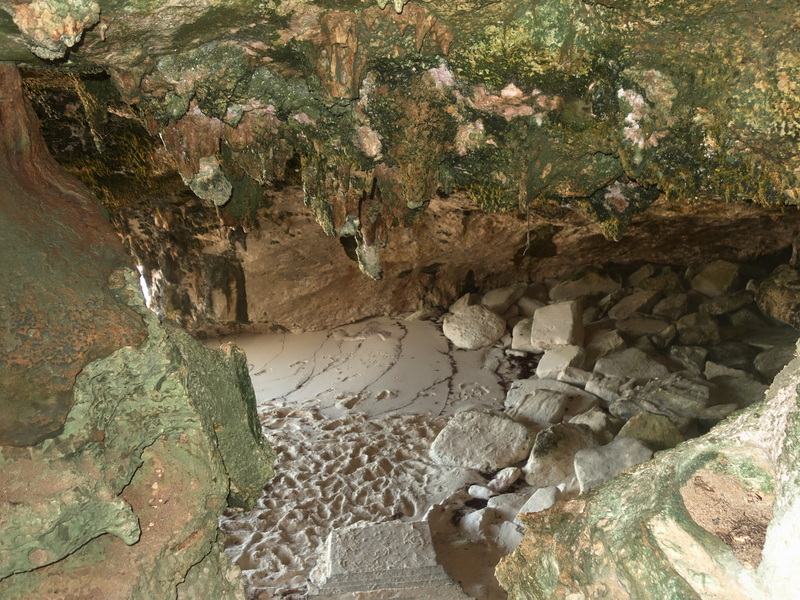 What it looked like inside the cave. 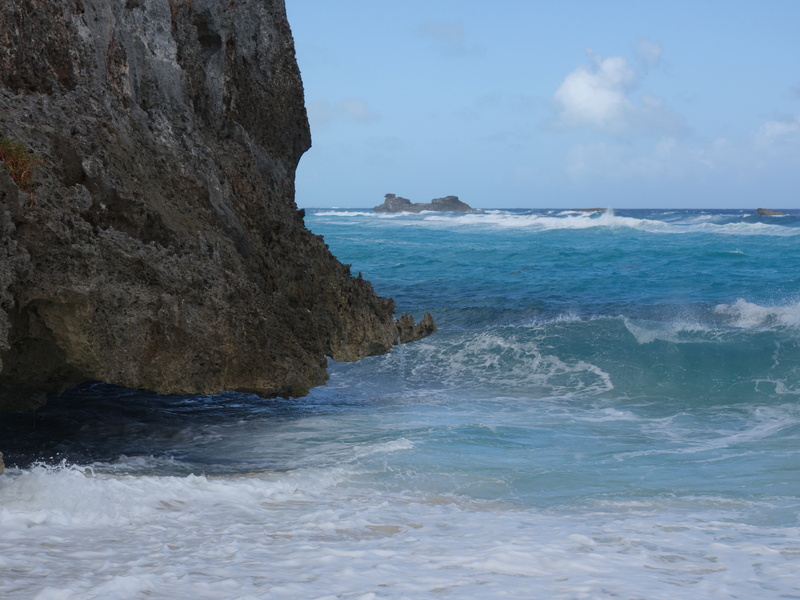 We were determined to see this Secret Beach! Time went by so fast before we realized that we needed to take a break and get some lunch. 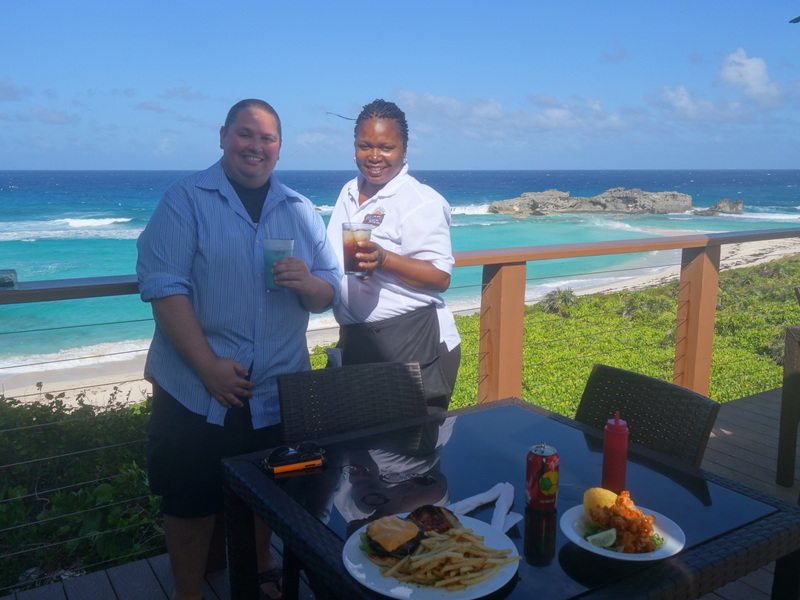 We headed back up and walked towards Mudjin Bar & Grill (the restaurant at Blue Horizon Resort). 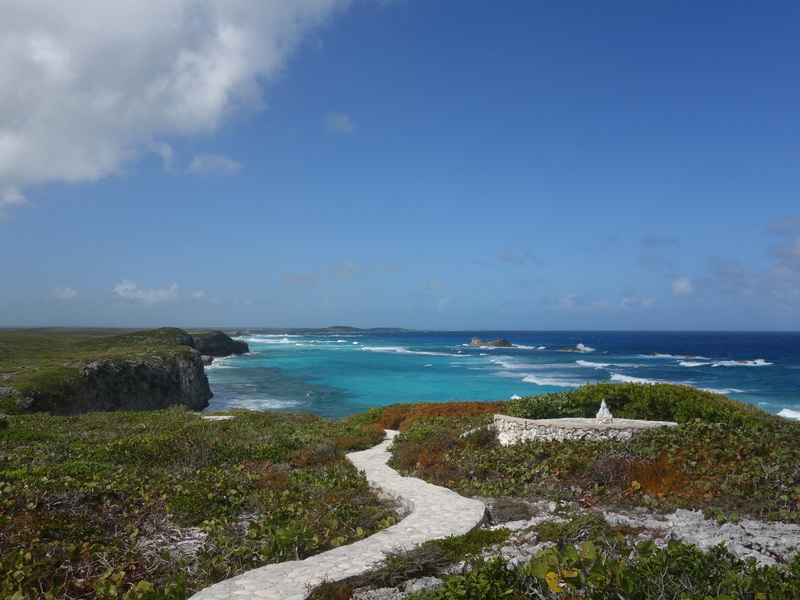 We finally managed to leave Mudjin Harbour and decided that it would be best for us to start making our way to North Caicos. While crossing the causeway I learned that our brand new camera has stopped working. Seriously?! We had only used it for five days and all we could see was a black screen. Fortunately we brought along our trusty old camera, and we relied on it for the rest of our trip. We remember being told by Al’s Rent-a-Car representative to check out Flamingo Pond. We pulled over at a parking lot that has a pink building with a flamingo painted on its facade. 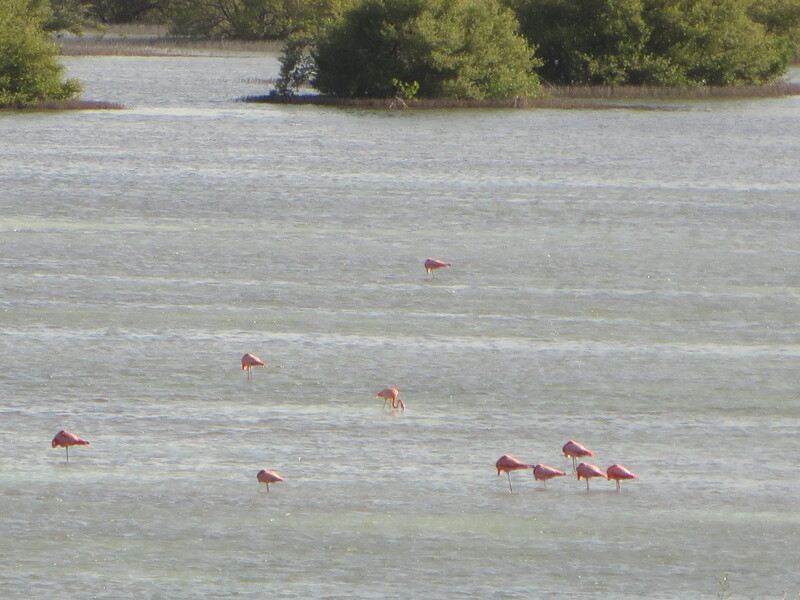 We got out of the car, then stood on an observation deck where we could see wild flamingos way, way out in the distance. Next up on our itinerary was Horsestable Beach, which has a nice pier. With less than two hours to go before the last ferry departed for Provo, we figured that we had just enough time for one more stop. 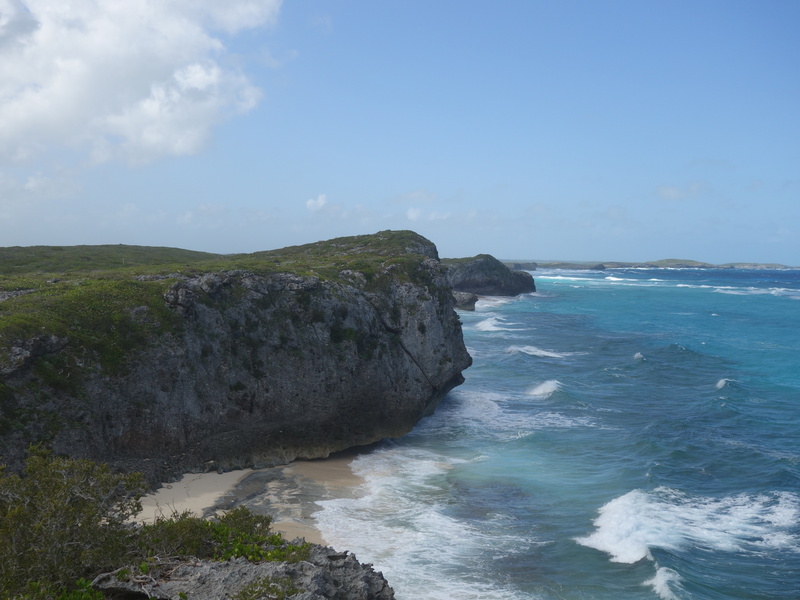 We set out to find Three Mary Cays, which is supposed to be a good spot for snorkeling. We navigated on some dirt roads, crossed over ponds, and passed by an old abandoned resort. Half of the fun was the journey itself. Here we were crossing over a pond in an effort to find a beach. 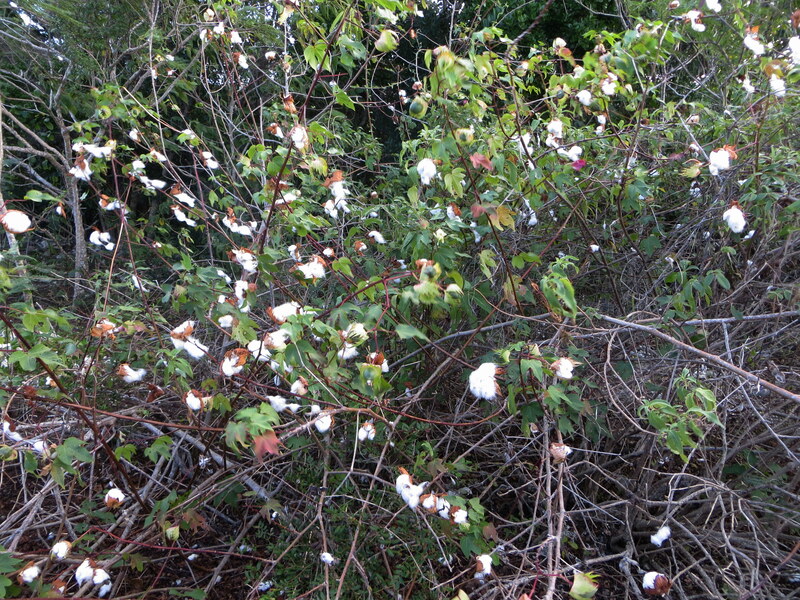 We even came across cotton plants! We kept searching and searching until we reached a piece of cleared land. 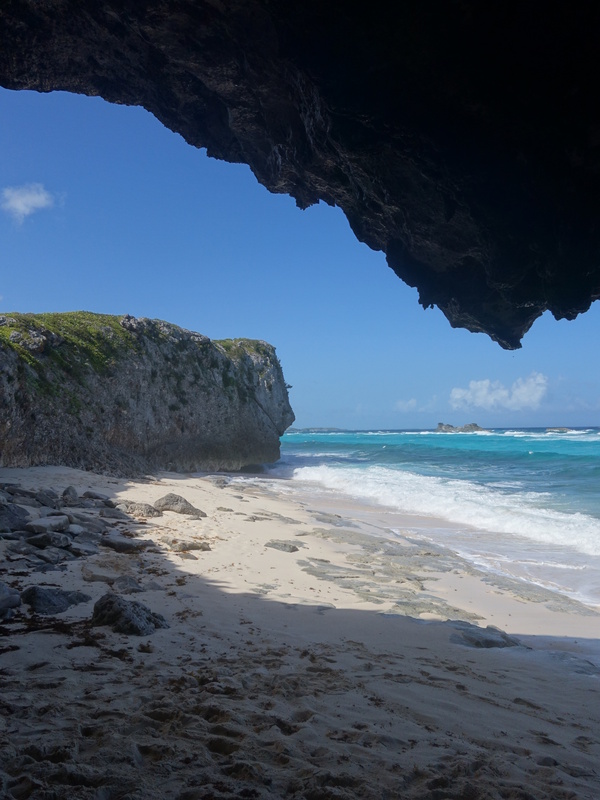 We parked our car and was wondering, “Could this be Three Mary Cays?” Well, what we found instead was a pretty beach surrounded by rocky hills. Its name is Pumpkin Bluff Beach. We had the place all to ourselves, making it a nice way to wind down in the afternoon. Pumpkin Bluff Beach. If you look at the right hand corner, there’s an object out in the sea. Can you guess what it is? 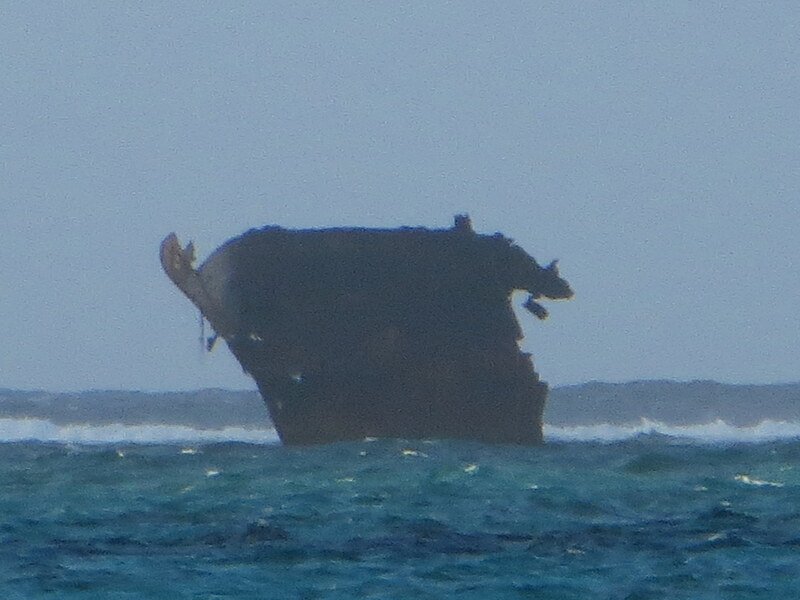 It is a wrecked freighter ship just off the shore. At 5 PM, we started our journey back to Provo aboard the TCI Ferry. As we watched the sun gradually sinking into the horizon, we reminisced about our day and already started making a mental list of places we would like to visit on our next trip to North and Middle Caicos. 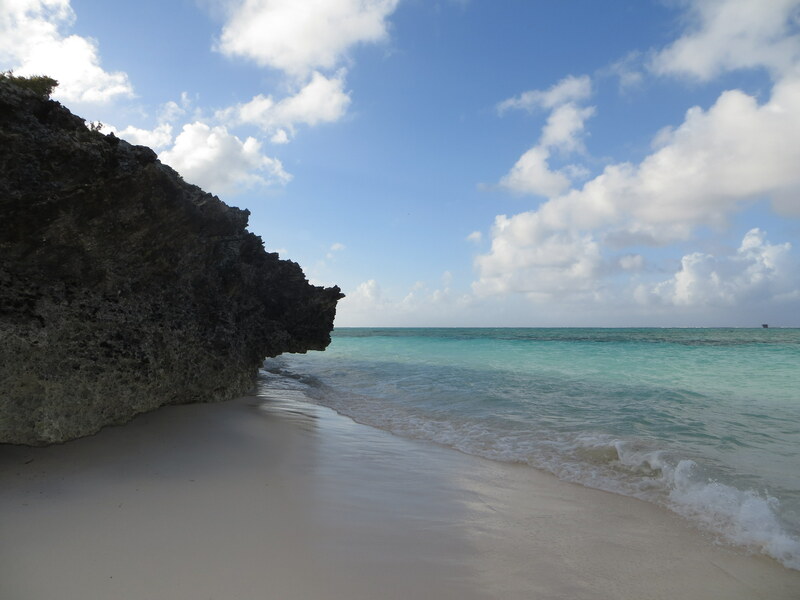 We needed no further convincing that Turks and Caicos is indeed beautiful by nature. 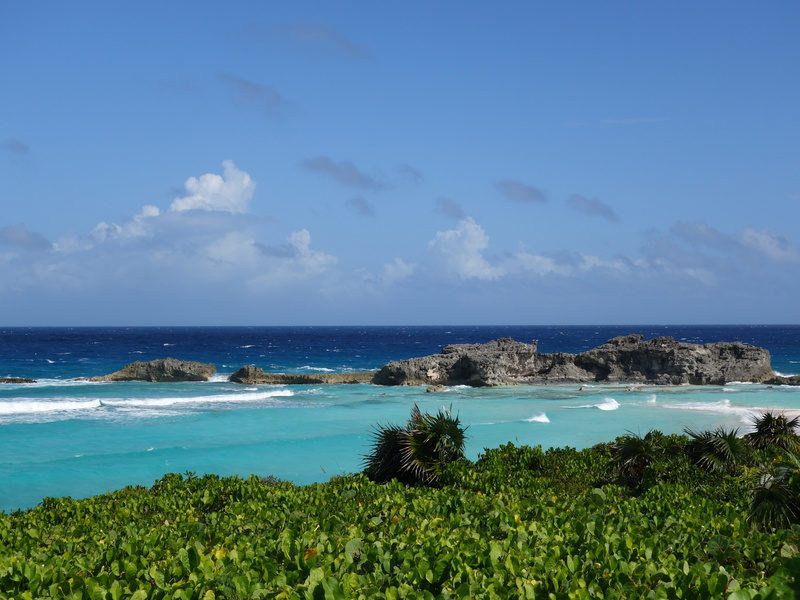 * Amy’s Ultimate Guide to Middle Caicos I highly recommend her book, especially if you are headed to North and Middle Caicos for the first time. She also takes amazing pictures of the islands, which she posts regularly on her Instagram account. * TCI Ferry Don’t forget to check their website to obtain the latest schedule. Presently, the cost of a single fare is $25 for adults and $15 for children under 9 each way. 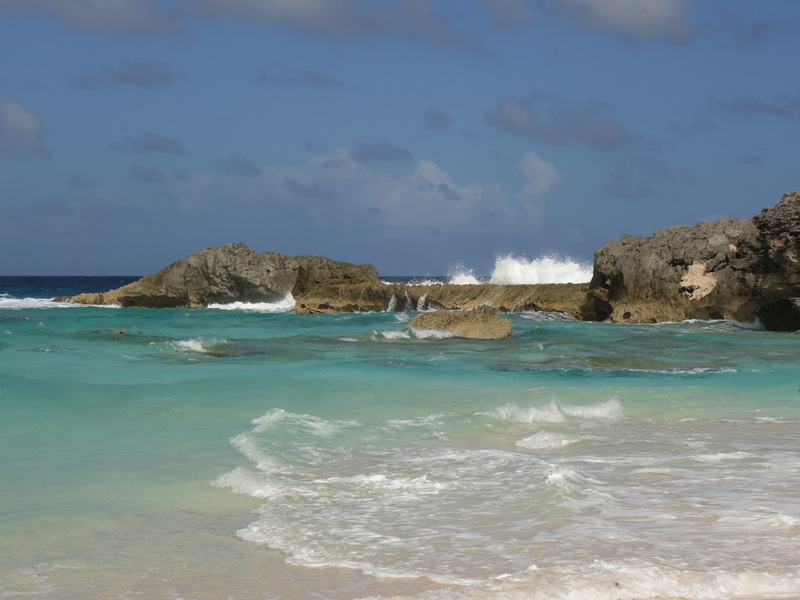 * There are several car rental companies on North Caicos. Some take credit cards for payment, others cash only. 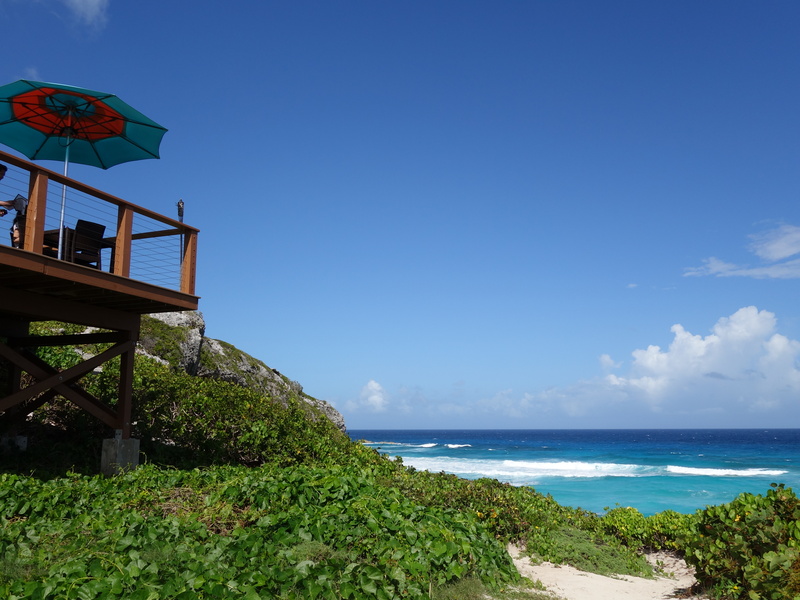 Please refer to Visit Turks & Caicos Islands website or Amy’s Ultimate Guide to Middle Caicos for a listing of companies that operate on the island. * You can explore the islands on your own. 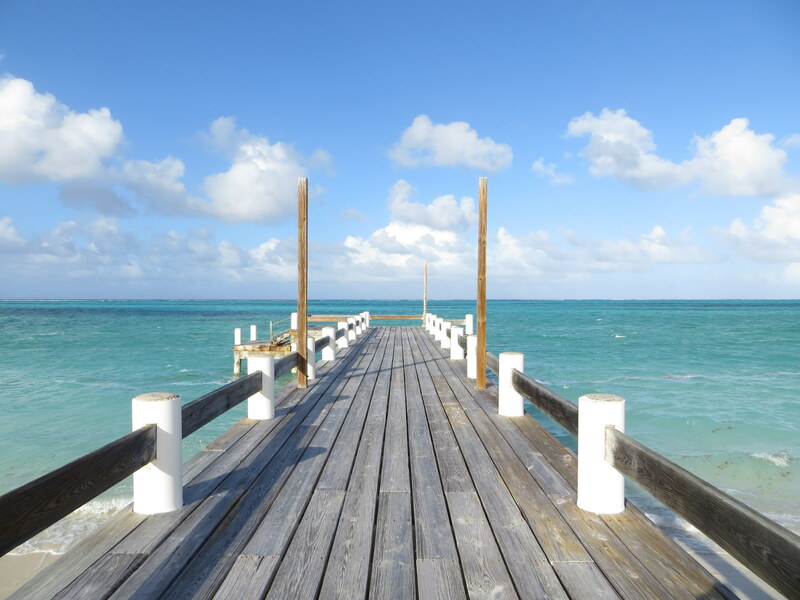 However, if you prefer to take a guided tour, there are several companies that offer these services, such as Turks and Caicos Travel Planning and Caribbean Cruisin’. Wonderful photos! I could really use some beach and sun right now–then again, this is my first winter in Europe so it’s fine (for now, haha!) I would definitely want to check out this lovely place that you have been to! You’re killing me with these Caribbean posts, it’s snow outside my apartment right now! Sounds like the best day ever!!! 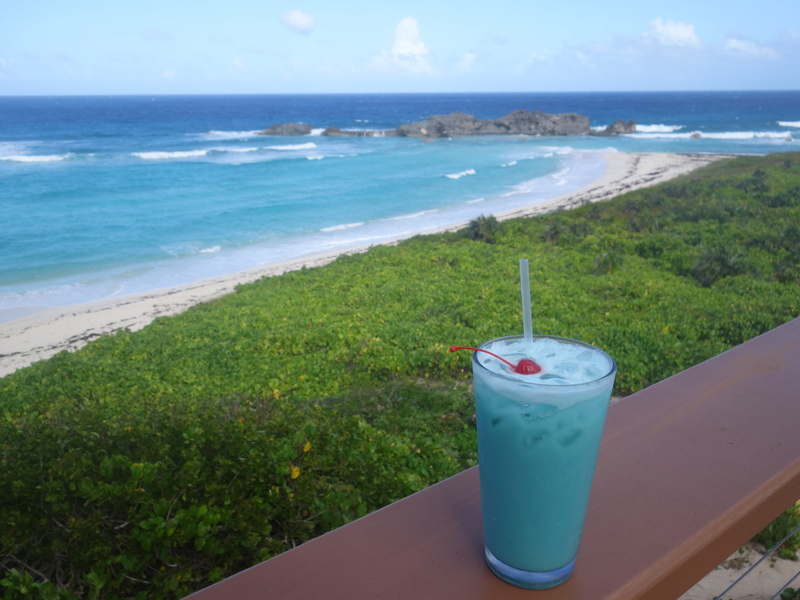 Your photos are amazing- that water looks so stunningly blue!! 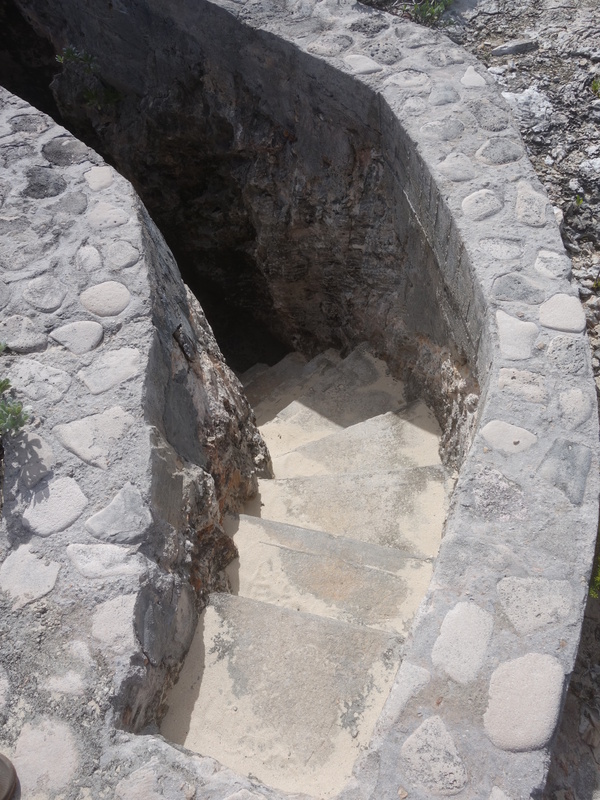 If I visited, I would definitely want to find the stairs to go down into the cave! That sounds fun! Thanks for all the great ideas! Would love to visit the islands one day, there’s nothing better than a bit of fresh sea air and the waves crashing on the rocks for a soundtrack! Sounds like you guys had an awesome trip. Great photos guys! Looks like the perfect holiday to me! Ahhhhh, looks simply like an absolutely paradise. I wish I was laying on those beaches so bad right now. I need to escape this winter in Canada! Such a beautiful place, and incredible pics! Great location, great photos, looks like a dreamland to me! Would love to visit one day, but I always say that after reading interesting post. Too many places, so little time! Beautiful photos! And the beach is just breathtaking! Wow, love your photos. This place just looks like a dream! Especially when I look out of the window to grey skies and rain! That cave looks good to climb as well and plenty of places to explore before relaxing! I could do with this right now! Excellent virtual tour! I love travel posts with loads of pictures but how you detailed some areas with series of photos (like the Dragon cay waterfall or the secret beach) was awesome. Thanks for the lovely post. Loved it completely.